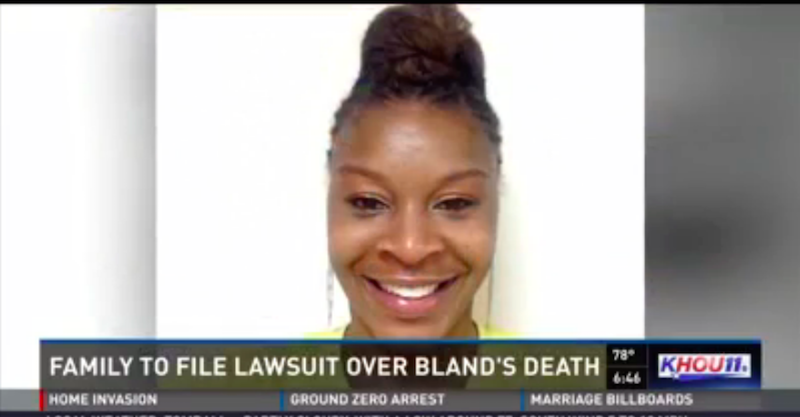 The lawsuit, according the KHOU-TV, will be filed on Tuesday in Houston, Texas. Encinia arrested Bland on July 10 near Prairie View A&M University when she was preparing to start a new job. Three days later she was found dead in her cell in Hempstead, Texas. A local forensics team said she hung herself with a trash bag that was left in her room. Since her death, Encinia has been put on desk duty for “violating procedures” during Bland’s arrest and Waller County, where the sheriff has been fired in the past for racism, released a heavily edited dash cam video of the Trooper’s interaction with Bland but dismissed the edits as “glitches.” Then the original video without the “glitches” was released only to be followed by video of and around Bland in her cell to further prove that there was no foul play. Bland’s family is not convinced.